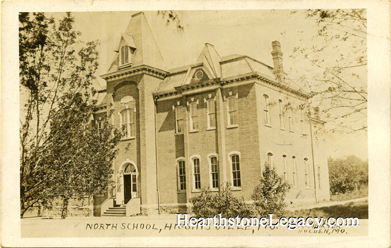 This postcard view pictures a photographic view of the old high school building when it was known as the North School, probably not long after the newer Junior and Senior High School was built. Click here for a different views of the same high school building and also here. Published by M. S. Porter, Holden, Missouri. Printed on AZO card stock. This postcard is not postmarked.